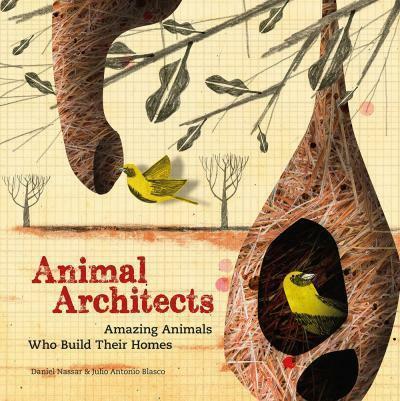 This is a fantastic, original exploration of how animals build their homes and the fascinating structures they create. From gladiator frogs to chimpanzees, learn about how animals all over the world build their homes. Each spread contains a beautiful, colourful illustration of each animal and its home, plus a unique fold-out information panel, with stats and a simple architectural diagram showcasing the creation of the ‘architect’. Look inside chimpanzee nests, beaver dams, termite mounds, stork nests and many more – and get to know the clever animals who build them!